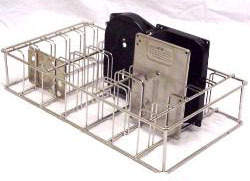 Disk Drive Fixtures - EnviroSense, Inc.
We have a wide array of storage and cleaning devices designed to accommodate any need. Seagate, Western Digital, Hitachi. 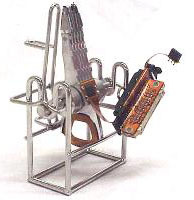 Whether it's disk drives or microchips these fixtures will keep your products safe for cleaning. 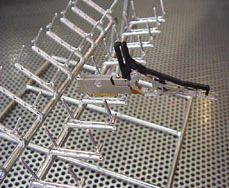 HGA wash fixtures for production and rework. All in electropolished 316 stainless to reduce particle count. We work directly with equipment manufacturers to deliver you the best possible equipment for your cleaning needs and optimize your process. 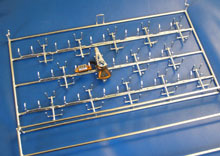 We produce racks for any of the disc drive components. 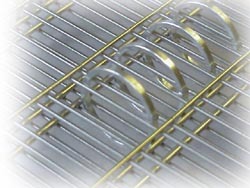 HSA, Spacer Ring, Base Castings, Top Covers, Screws, Kit racks for identity and rework.